Closed adoption, also known as secret or confidential adoption, is an adoption process where no identifying information is shared between the birth parents and the adoptive ones. A medical history of the birth mother is typically collected, but their name will be removed before the data is shared with the adopting parents. Contact between the birth parents and adoptive parents never happens. While closed adoptions are less popular than open adoptions, there are still many benefits. Closed adoptions has been popular in America for only the last century. During the early 1900’s, many U.S. states passed laws which permanently sealed the adoption records, keeping most information about the birth mother and father hidden. When an adoption became finalized, some states would even issue new birth certificates with the birth parents’ names removed. At an adoption agency, the birth mother will work with an agent who will help her find a family interested in a closed adoption. If the birth mother is interested in choosing a particular family for her baby the adoption specialist will show her the family’s adoption profile, but will withhold any identifying data. The birth parents and adoptive ones will never have any direct contact with each other. However, the adoption specialist will remain involved. The agent will keep each party up to date on the happenings of each other’s lives. Once the birth mother goes into labor, she will have set up her own hospital adoption plan with the help of the specialist. The adopting family will have their own room at the hospital and once the birth mother gives birth and consent of the adoption, they will have physical custody of the baby. There are numerous benefits of closed adoptions for all parties involved, including the birth parents, adoptive family, and child. Birth Parent: For the birth parents, they can have a sense of closure knowing that their child is going to be well taken care of. This can help enable them to move on with their lives. Privacy is also a huge benefit for the birth parents. For parents who feel vulnerable by their choice to place a baby up for adoption, a closed adoption can offer more privacy. There is also less fear as birth mothers can avoid confrontation during closed adoptions as they do not have to explain their decision to others. Adoptive Family: While closed adoption benefits can vary from one family to the next, many adoptive parents report that one big benefit is more family freedom. Adoptive parents can thoroughly enjoy bonding with their brand new addition without potential complications associated with outside intrusions. Interference from the birth parents can create co-parenting concerns. They will also have lots of privacy because their information will not be released to the birth parents. Adopted Child: The adopted child will be the one enjoying the most benefits from the closed adoption process. One of the most important benefits for kids that accompany closed adoptions is their safety. Sometimes, the baby will come from a family with unstable birth parents. This could include emotionally disturbed, physically violent, or parents with criminal behavior. If a birth parents loses custody of their child because of neglect or abuse, an open adoption process could lead to harassment and safety concerns. Another benefit for the adopted child is their identity. In a closed adoption, the adoptive family can control if, when, and how their new child learns of their birth parents. This can be a benefit if the kid was born into an abusive family. Closed adoption benefits will vary greatly from family to family. Communication is key during a closed adoption process, including the expectations, wishes, and concerns of both parties involved. The more comfortable and confident everybody feels, the smoother the adoption process will be. During a closed adoption process, this communication will occur through an adoption agent or closed adoption attorney. If your family is interested in adopting a child through a closed adoption, it is important to speak with an experienced adoption specialist, such as an attorney, today. They can help navigate you through the murky waters of the adoption process and can assist with questions or concerns that you may have. 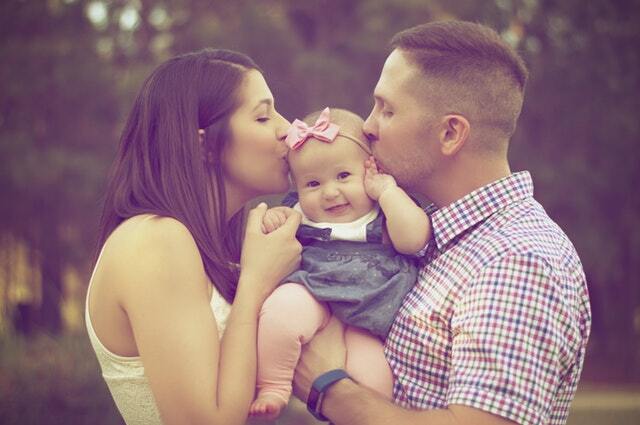 It’s a joy to bring a new child into your family and a closed adoption may be perfect for you.